Growing right alongside global population and urbanization is an awareness of the services and benefits that trees provide within city bounds. More than half of humanity now lives in cities, and according to the United Nations Department of Economic and Social Affairs, the number of urban dwellers is projected to continually increase over the next few decades. Fortunately, growing right alongside global population and urbanization is an awareness of the services and benefits that trees provide within city bounds. Given the complexity of the urban community ecosystem, it’s no wonder the field involves a combination of art, science and technology. As this issue of Leaf Litter reveals, urban forestry also requires a great deal of patience, compassion, and determination. Join us as we explore the urban forest. We begin by chatting with the experts. First, we speak with forest researcher David Nowak, the man behind i-Tree, a suite of tools that is advancing urban forest management and advocacy around the world by helping communities quantify their urban forest structure and ecosystem services. Trickier to model, but equally important, are the social benefits of trees. For insight into those benefits, we check in with social scientist Morgan Grove. 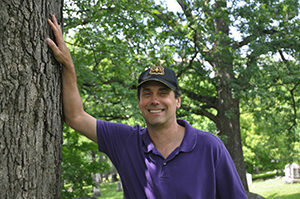 When it comes to applying the science of urban forestry to design, few can match the expertise and reputation of landscape architect James Urban. The Yale School of Forestry & Environmental Studies’ Bill Burch, known as a pioneer of community forestry, spent four decades linking ecological enhancement to community development. 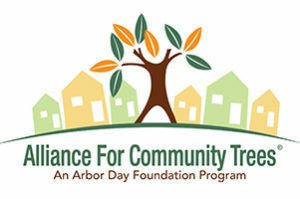 Leaf Litter’s Non-Profit Spotlight shines on the Alliance for Community Trees (ACT), which provides community forestry organizations throughout the U.S. with access to resources, funding sources, and networking opportunities. We also highlight the work of four ACT members. 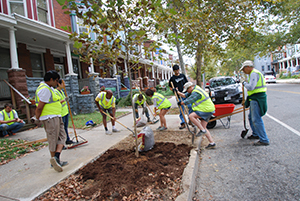 Find out how TreeBaltimore, a subset of the Urban Forestry Division of Baltimore’s Department of Recreation and Parks, is uniting and inspiring the many players in the City’s effort to increase the tree canopy in Urban Tree Canopy: Baltimore’s Living Umbrella. Many cities have created urban forest master plans to guide the preservation and enhancement of their trees. Explore our Urban Forest Master Plans Map to learn more about these municipal efforts. Ecological planner/designer and urban dweller Jennifer Dowdell discovers the thrills of Finding the Wild in our Cities. In her article Tree Up, nature writer Elizabeth Bastos elevates awareness of a rising trend in cities abroad: vertical forestry. 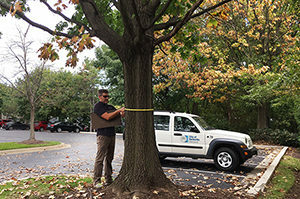 Few people know more about the daily work of managing urban trees than the arborists who work for our city and county governments. When Municipal Arborists Talk Trees, we should all listen up. 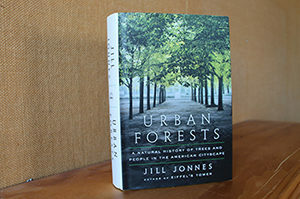 Water resources engineer Rachel Whiteheart reviews Jill Jonnes new book, Urban Forests: A Natural History of Trees and People in the American Cityscape. Urban forests serve as more than a backdrop in the documentary films City of Trees and Trees in Trouble. Leaf Litter editor, Amy Nelson, reviews both. 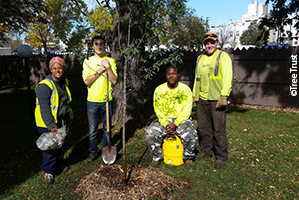 Want to further explore urban forestry? Check out our list of Resources. The beginnings of green networks in Baltimore and Kansas City…plans to safeguard one of the largest urban forested parks in the eastern U.S….a restored arroyo in the city of Santa Fe…Find out more in Biohabitats Projects, Places, & People.